Lady Master Portia, Goddess of Justice and Opportunity, and twin flame of Saint Germain, maintains a retreat over Ghana, near Accra, that expands the violet flame of Freedom and God-Justice. The Freedom and Justice Arch in Accra is an outer focus of this retreat. Portia invites students to come to her retreat to master the four elements and the balance between thought and feeling, masculine and feminine, justice and mercy. In the name of the Christ, My Own Real Self, I call to the Heart of my Mighty I AM Presence, to the Angel of the Presence, to Beloved Archangel Michael, Kuan Yin and the Maha Chohan, to take me to the etheric retreat of Beloved Portia over Ghana, according to the will of my Holy Christ Self and the direction of the Maha Chohan. I ask to be taught the balance of justice and mercy within my heart and seat of the soul chakra, especially as it pertains to understanding God-Justice as opportunity. 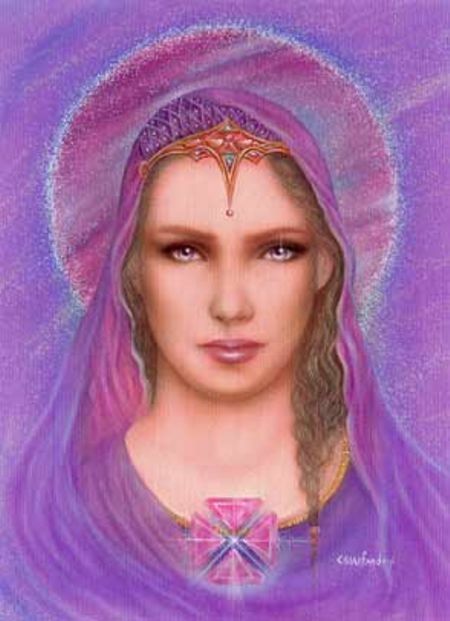 Beloved Portia, help me to remember upon awakening all that will help me to fulfill my mission on earth and the mission of my twin flame. I accept this call manifested through the power of the Christ and am thankful for its realization. In the name of the Father, the Son, the Holy Spirit and the Divine Mother, Amen.